The homes are available in nine floor plans that range in size from 1,507 to 2,462 square feet. Open-concept living areas promote relaxed living. 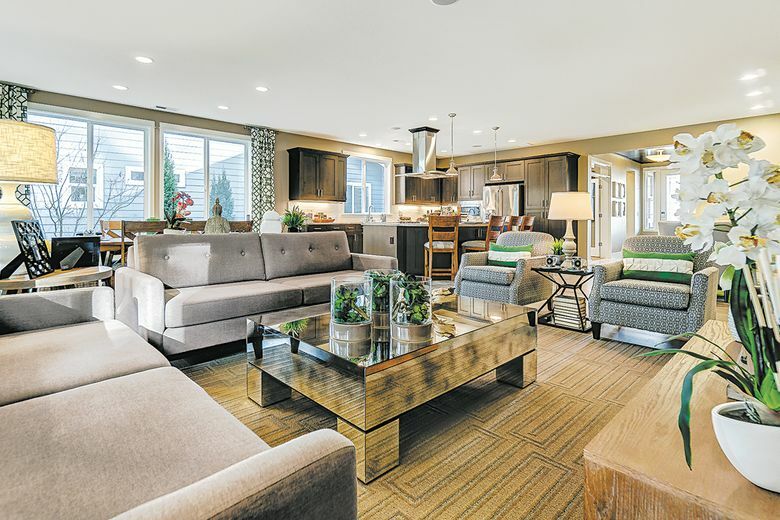 Buyers interested in living at Trilogy at Tehaleh are invited to the community’s Showcase of Homes on April 21 from 1–4 p.m.
BONNEY LAKE — Buyers interested in living at Trilogy at Tehaleh are invited to the community’s Showcase of Homes on April 21 from 1–4 p.m. The event will include tours of models and quick-move-in homes that feature upgrades that were hand-selected by the team at the builder’s Design Center. The private Seven Summits Lodge will also be open, with information about more than 30 clubs offered for members. Treats will be served, as well. Set amid natural surroundings, Trilogy at Tehaleh offers resort-style living for homeowners age 55 and older. 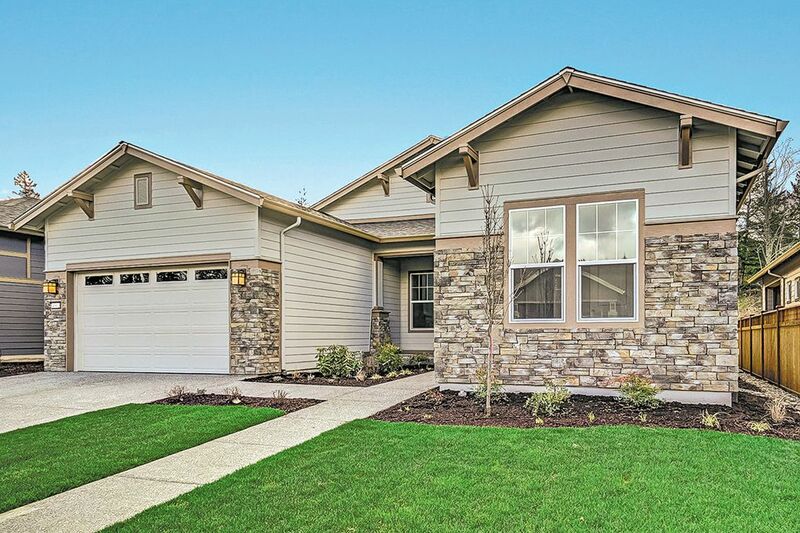 Part of the Tehaleh master-planned community, it is close to Tacoma and some of state’s top attractions. The homes at Trilogy at Tehaleh are available in nine floor plans that range in size from 1,507 to 2,462 square feet and include two or three bedrooms. Prices start from the $400,000s. Trilogy at Tehaleh offers an inventory of quick-move-in homes, which feature many of the builder’s most-popular upgrades and finishes. Among the homes available to view during the Showcase of Homes is one with the Elate floor plan on Homesite 2182. It has two bedrooms, 2.5 baths and 2,132 square feet of living space. An open-concept main living area includes a gourmet kitchen with stainless-steel gas appliances, upgraded cabinetry and an expansive island, which overlooks the great room and dining area. The home’s SmartSpace is a laundry room that is designed to multitask, with a workspace for crafts and projects, along with additional storage. A covered patio is ideal for an evening of alfresco entertaining. Owners can retreat to a spa-inspired master suite with a lush bath and walk-in closet. On Homesite 3212, the Bainbridge plan is designed for entertaining. The kitchen features quartz countertops, stainless-steel gas appliances and a mosaic tile backsplash. An oversize island anchors the kitchen and great room, while a modern fireplace adds style and warmth to the space. The 1,869 square feet of living space also includes a formal dining room, a sunlit dining nook, and a covered patio with enough room for an outdoor table. The home has two bedrooms, two baths and a two-car garage. 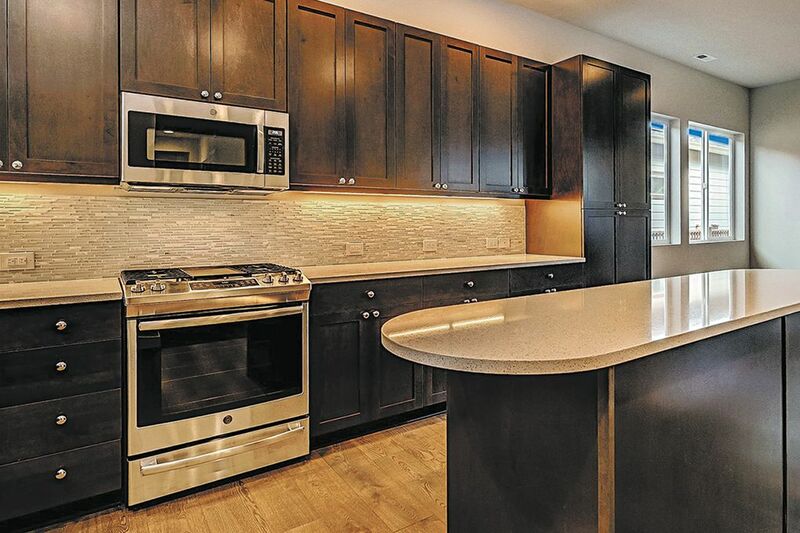 Kitchens offer expanded cabinetry, a roomy center island and stainless-steel appliances. For those seeking more space, the Messina plan on Homesite 3187 is a 2,327-square-foot design with two bedrooms and 2.5 bathrooms. Set on a tree-lined site, the home has an open kitchen with large center island, a great room and dining area, and a master suite that fills the entire west wing. A sliding glass door leads from the great room to a covered patio for indoor/outdoor entertaining. Also open during the event will be Seven Summits Lodge, Trilogy’s resort-inspired mountain clubhouse. Homeowners have access to the lodge’s Mantel Culinary Ascent. For foodies, there’s Hudson’s Culinary Expedition, a private space for parties, cooking demonstrations, viewing parties and classes. The Hawk’s Nest has flatscreen TVs, a full-scale golf simulator, billiards and darts, as well as Four Suits, a game space for anything from poker to pinochle.